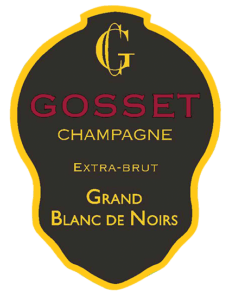 Champagne Gosset is the oldest wine house in Champagne. For more than four centuries, the family has preserved its house style, a true reflection of the terrior; a transparent wine that shows purity, precision and persistence. Even as the winery honors its heritage, it draws on those traditions to offer new iterations of the exquisite house style. 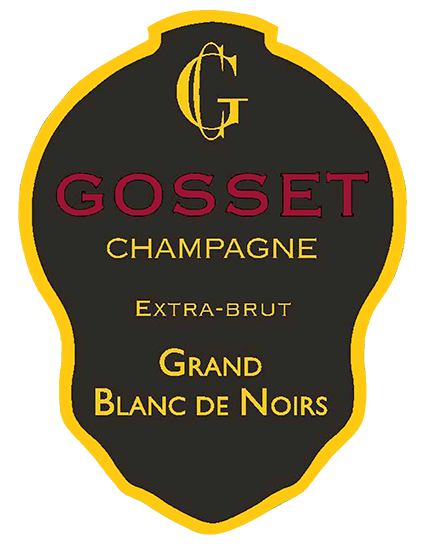 Pierre Gosset established the family winery in 1584 in Aÿ. The limited edition Grand Blanc de Noirs Extra Brut is a nod to the family heritage using Pinot Noir from Aÿ grand cru, which delivers elegance, structure, density and aging potential. With its elegant gold-flecked appearance and its extremely fine mousse, the Grand Blanc de Noirs charms from the outset. With 9 years aging on the lees, this 100% Pinot Noir exhibits a nose of white fruit, hints of patisserie, along with a touch of white peach and baked apple. As it unfurls on the palate, it beautifully displays notes of beeswax and candied citron. The attack is supple and well-balanced. The finish is crisp and fresh with salty, almost iodine notes, along with a certain minerality and structure. Perfectly balanced between intense aromas and elegant finesse, the fruity structure of the Pinot Noir is expressed with surprising freshness and precision. A harmonious Champagne, with a satiny mousse, this shows good length and focus to the rich notes of baked plum and apricot fruit, biscuit, smoke and lemon curd. A firm frame of well-cut acidity lends balance. Drink now through 2022.